Crisps are one of my all-time favorite desserts. Growing up my mom would make her famous apple crisp that had everyone clamoring for seconds. Though cobblers (made with drop biscuits) and crumbles (essentially crisps without the oats) are likewise delicious, crisps are my favorite. The addition of the oats really takes it to that next level for me. A week ago I picked up a bulk load of local Washington peaches (75 pounds of them!) and have been busy making jam, peach sauces, chutneys, fruit leather and freezing peaches for smoothies. 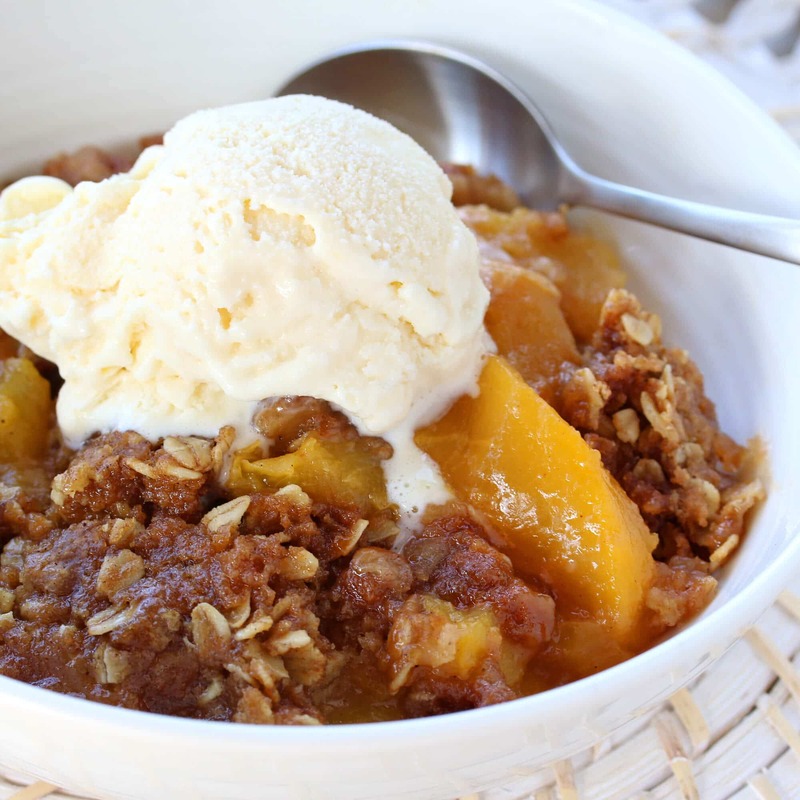 I’ve also made three batches of peach crisp in the last week and a half – it’s that good! This recipe includes instructions for preparing the crisp in a slow cooker as well as baking it in the oven. 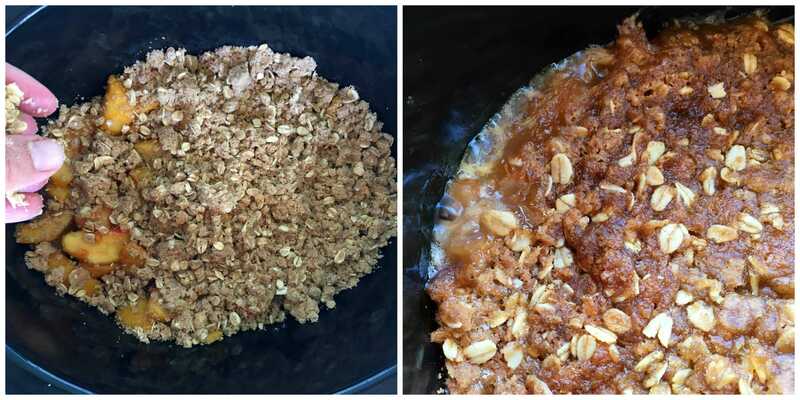 Both ways are equally delicious, the difference lies in the texture of the crumble with the oven version being crispier. 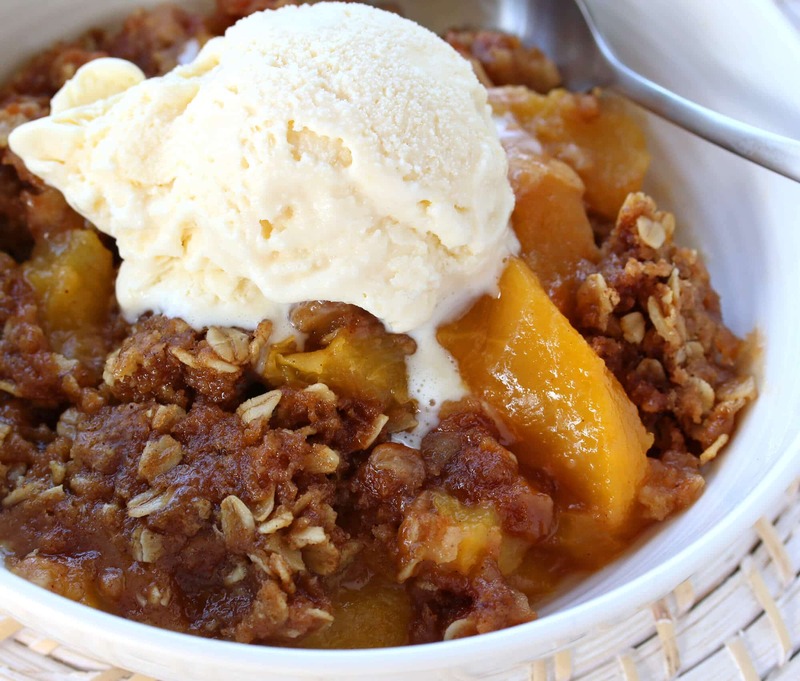 But I’ll show you how to “crispen up” the peach crisp using the slow cooker route. 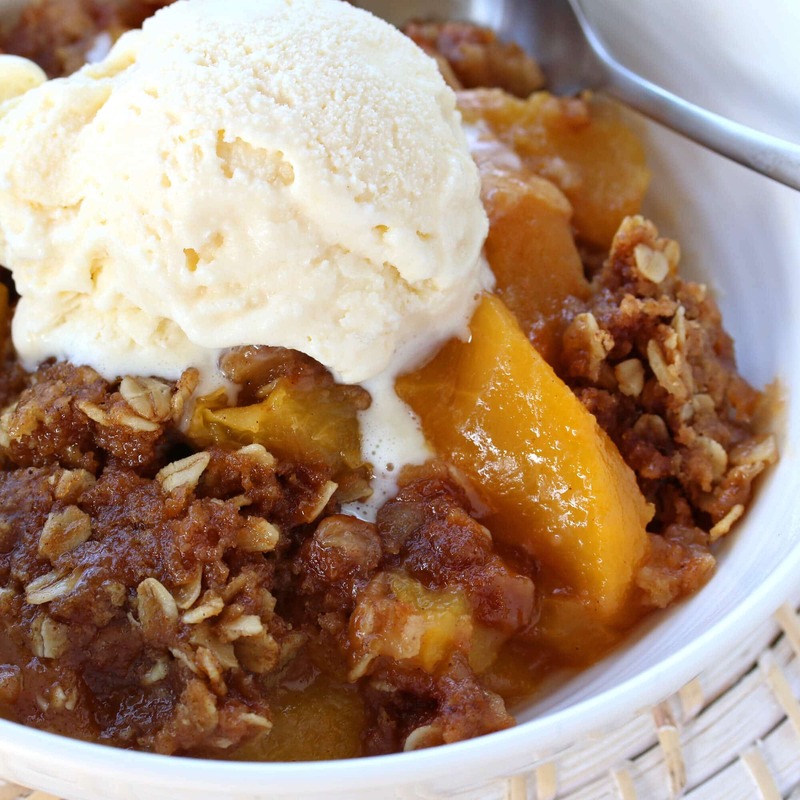 Whichever route you go, we’re confident you’re going to love this Perfect Peach Crisp! In a large bowl combine the peaches, sugar, flour, lemon juice and vanilla. Slow Cooker Method: Place the peach mixture in the slow cooker. Oven Method: Place the peach mixture in a 3-quart baking dish. Preheat the oven to 350 degrees F.
In another bowl, combine the flour, oats, brown sugar, cinnamon, baking powder, baking soda and salt. Cut the butter into the flour mixture until it resembles coarse crumbs. Place the crumb topping over the peaches. Close the lid and cook on LOW for 4 hours or on HIGH for 2-3 hours until the peaches are soft and the topping is golden brown. During the last 30 minutes open the lid to allow the topping to crisp up a bit. 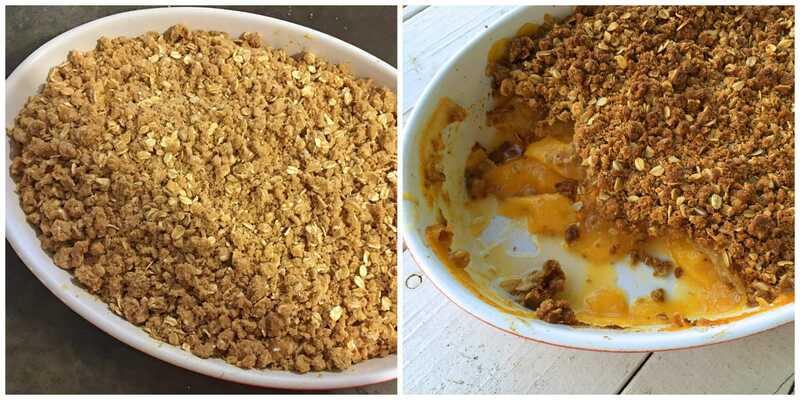 Place the peach mixture in the bottom of a 3-quart casserole dish and sprinkle the crumble on top. 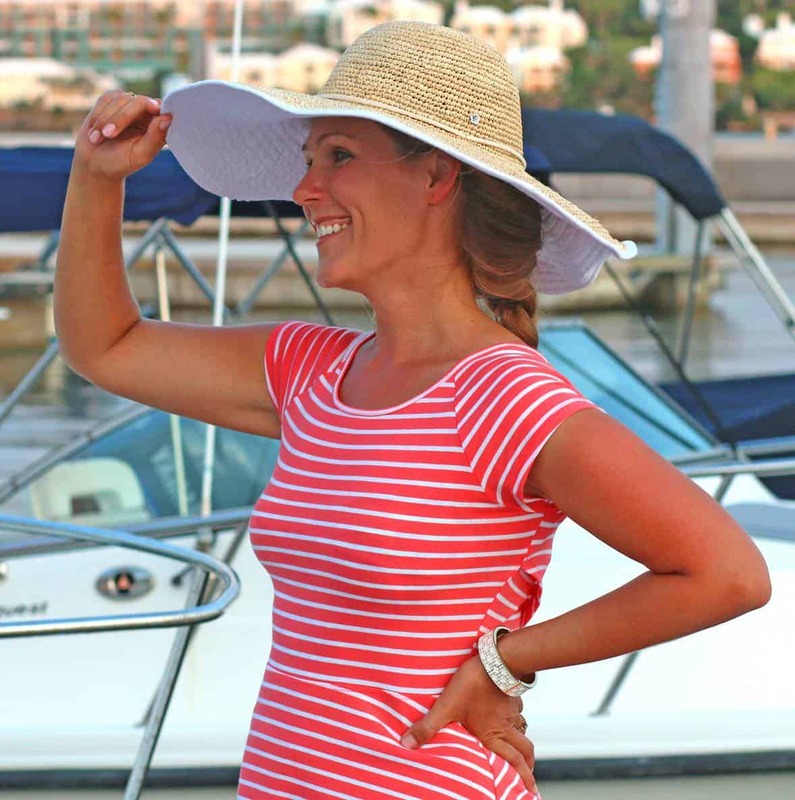 Bake for 20-25 minutes or until bubbly and light golden brown. Serve warm with ice cream and/or whipped cream. 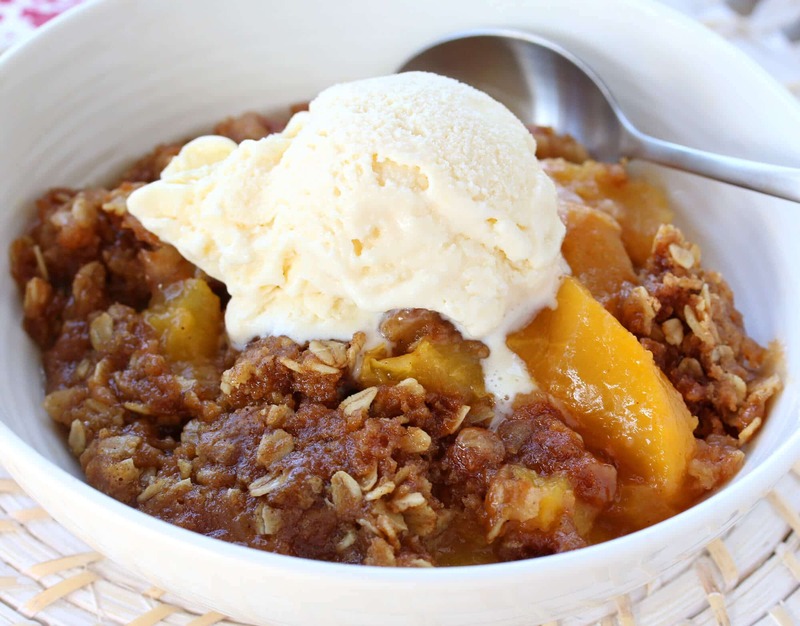 This delicious peach crisp can be made in your slow cooker or oven - your choice and both are delicious! Place the sliced peaches in large bowl with the sugar, flour, lemon juice and vanilla and stir to combine. Oven Method: Spread the mixture out into a 3-quart baking dish. Slow Cooker Method: Place the mixture in the slow cooker. In another bowl combine the flour, oats, brown sugar, cinnamon, baking powder, baking soda and salt. Add the butter and cut it into the flour mixture until it resembles coarse crumbs. Sprinkle the crumb topping over the peaches. Oven Method: Bake at 350 degrees F for 20-25 minutes or until it's bubbly and the topping is golden. 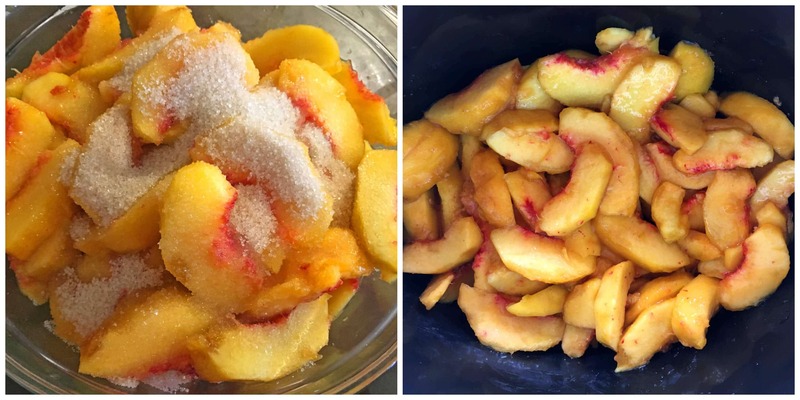 Slow Cooker Method: Place the lid on the slow cooker and cook on LOW for 4 hours or on HIGH for 2-3 hours until the peaches are soft and the topping is golden. For the last 30 minutes open the lid to help crisp up the topping. Love desserts made in the slow cooker! Fruit crisps are some of my favorite desserts! I love your peach version and the option of making it in the slow cooker is brilliant! Nothing says welcome fall like a delicious crisp! 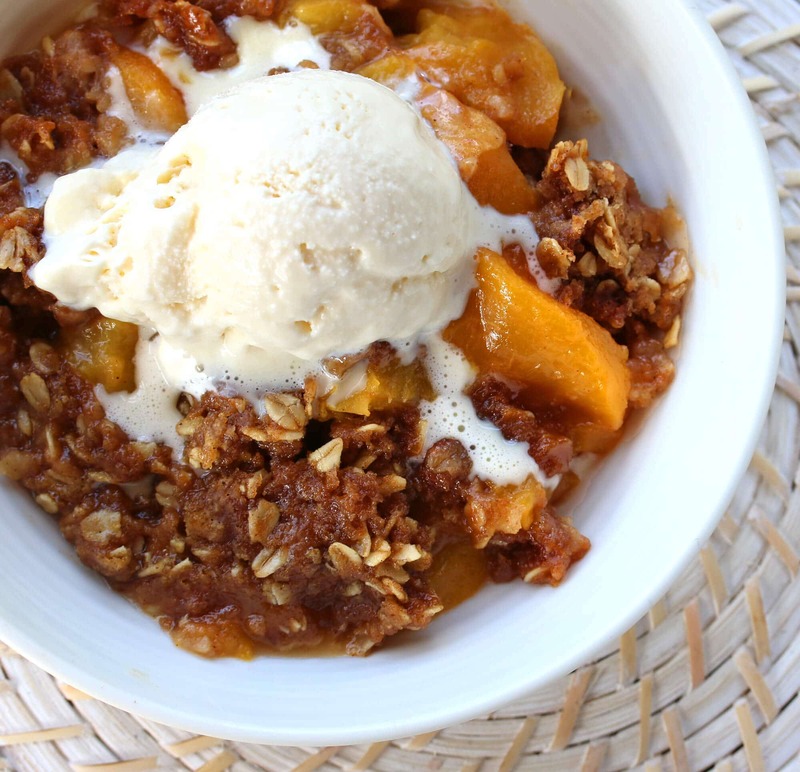 This peach crisp looks so delicious! Love that it can be made in the slow cooker or in the oven! I’m a sucker for all things peach and I love you can make it the oven or slow cooker! It really does look perfect! I will have to try both ways! I love peach crisp. We’ve been enjoying peach season so much this year. This crisp looks like perfection to me. I can’t wait to make this in my slow cooker! I love fruit crisps! Can I make this a couple before if so how how do I store it and reheat it? Hi Barbara, if you want to make this in advance I recommend using the oven method and leave it unbaked until you’re ready for it, then bake it. OR you can bake it in advance and reheat it in the oven covered with aluminum foil to prevent it from drying out. You can of course of reheat it in the microwave as well. I live alone so 3 quart baking dish is an awful lot of food. I would like to make this in an 8 by 8 square pan. Could someone convert the recipe for me? Thanks! Hi Moose, if you cut everything in half that should be about right. The cooking temp and time will remain the same. Thanks Kimberly. I actually used an 8X10 cake pan and did not need to modify your recipe to fit it all in there. Thanks for getting back to me! I have it in the fridge ready to go in the oven for dessert tonight. I plan on sharing it with Fam tomorrow at the weekly Sunday grillin’ event. Cheers! Perfect, Moose – have a great day tomorrow with your family and happy eating! Can this recipe be converted to gluten free? Hi Sheila, yes you can simply substitute gluten free flour.